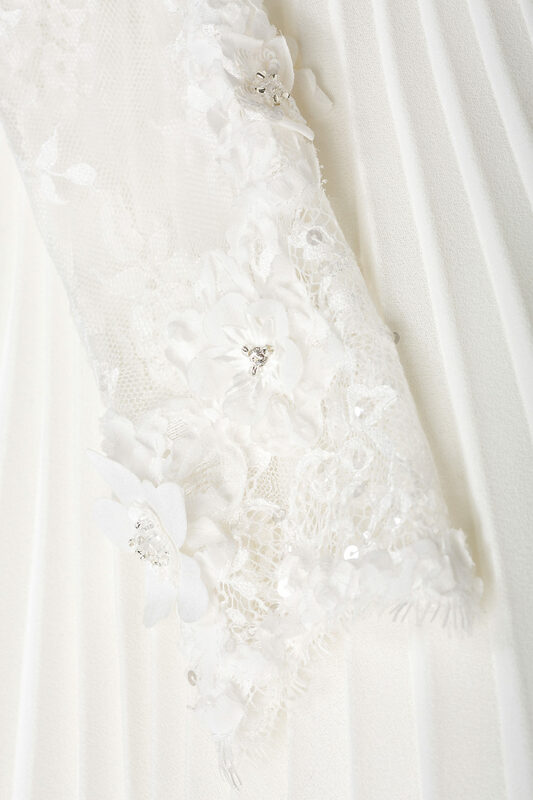 The Irma dress is intricately cut from crepe and embellished lace, and is partially lined in lightweight silk. 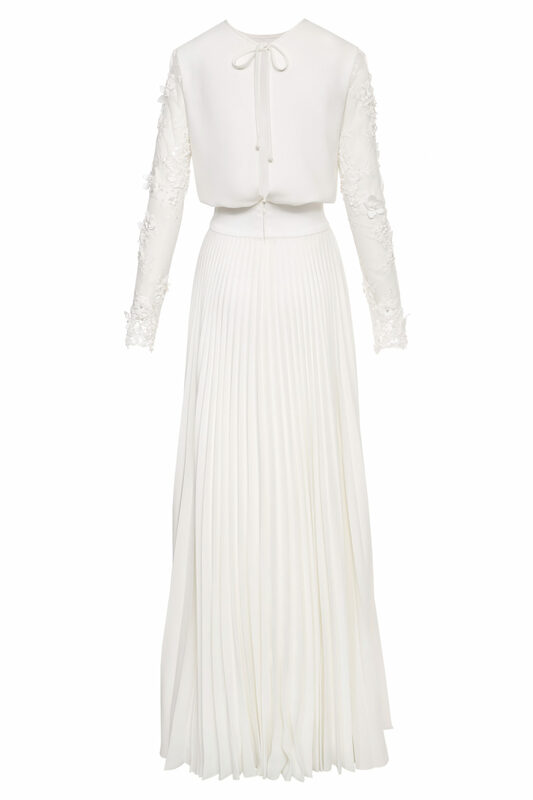 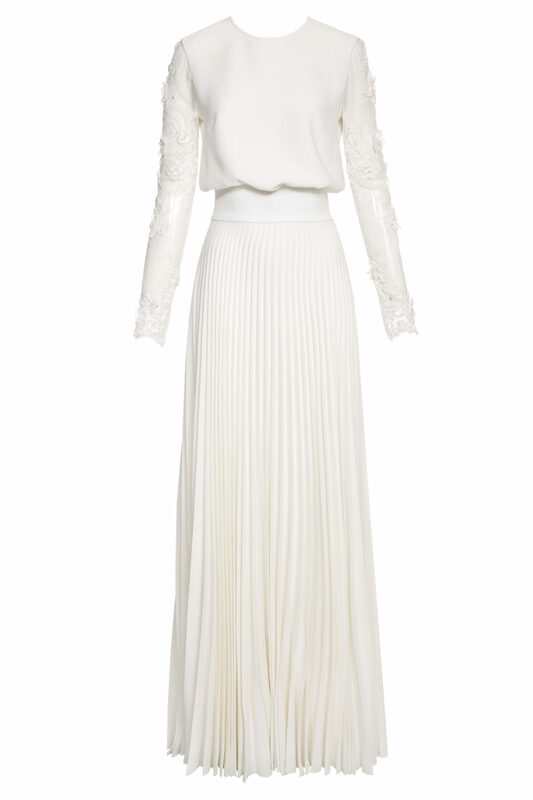 The waistline draws attention to the most flattering point as it flares out to a full sun-ray pleated skirt. 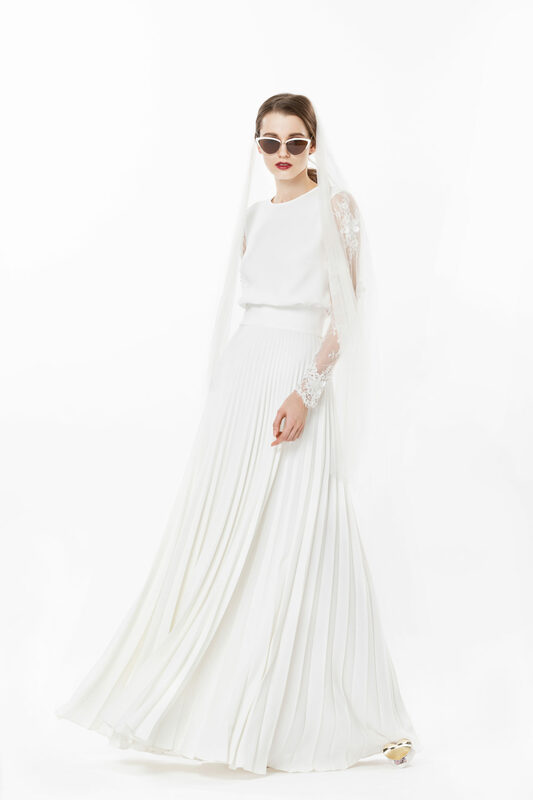 Styling tip: Accentuate the bridal feel with a matching ivory veil and simple metallic heels.